Auto reply only to emails that have file attachments. The ability to send auto replies in Outlook is a great asset for any organization that needs to quickly confirm or respond to emails, following a reply pattern. 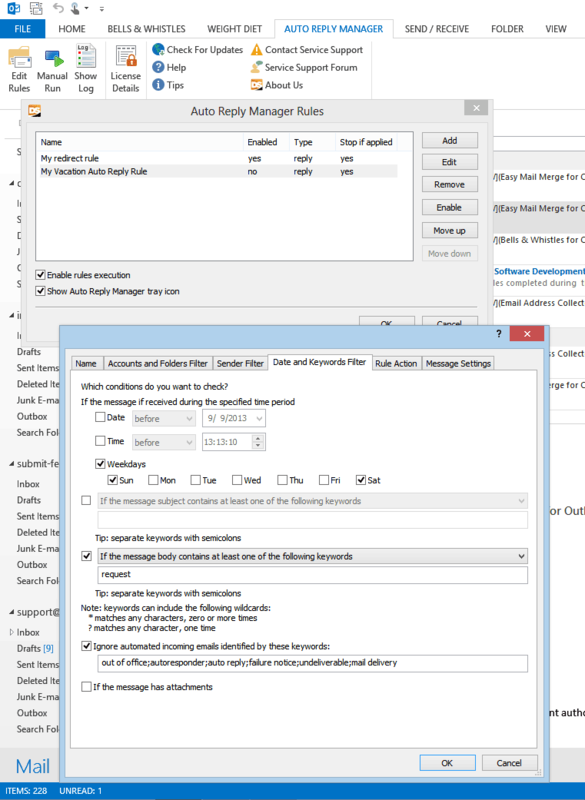 You can mix all the above auto reply options, so you can create Outlook auto reply rules that precisely match your requirements. You can choose to delay auto replies with a certain period (days / hours / minutes). Not only that you can setup Outlook auto reply emails with it, but you can also use the add-in to automatically forward, redirect or resend emails using all the above options.